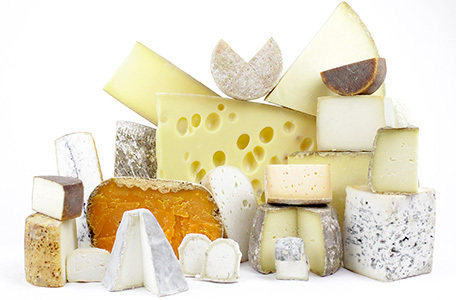 Bloomy-rind, washed-rind, natural-rind, pressed, cooked or uncooked, veined, raw milk, pasteurized, PDO, farmhouse, etc. – there really is a cheese for everyone’s taste! Meticulously selected by Rodolphe Le Meunier, the cheeses highlight the best of the French and European terroirs. To live the Le Meunier experience is to truly spend a moment in cheese heaven!